MONCTON, NB, July 8, 2014 /CNW/ - Canada's largest private sale franchise network, PropertyGuys.com, is set to tackle another giant - Canada's big banks. The company announced Tuesday that it will draw on its experience of disrupting the way real estate is bought and sold and seek for the brand to extend itself within the mortgage market. ''We've done it before and we'll do it again'', says Ken LeBlanc, PropertyGuys.com President and CEO. LeBlanc is excited and optimistic based on what he's witnessed so far. ''This is just another piece of the puzzle that aims to connect PropertyGuys.com buyers and sellers with the most qualified experts who can help them unravel what can be most confusing in the real estate transaction,'' adds LeBlanc. The newly formed joint venture, PropertyGuys.com Mortgage, is operated by distinguished PropertyGuys.com franchise owner (Franchisee of the year 2014) and veteran mortgage broker, Sarah Albert. The new brokerage will be optimized and supported by Mortgage Architects who already have a solid national presence with over 50 lenders in their network. "We are excited that PropertyGuys.com Mortgage has selected us as their strategic partners," said Albert Collu, President, Mortgage Architects. "Our vast experience supporting a large network of brokers will allow us to bring business efficiencies to the company. " PropertyGuys.com says its mission remains consistent with how they've always worked - helping its customers make better and more informed choices when it comes to the biggest financial decision of their lives. 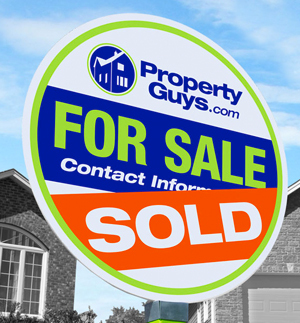 PropertyGuys.com is re-shaping how property is bought and sold in Canada, where an increasing number of buyers and sellers are now opting to engage private sale solutions rather than using traditional agents. ''Banks are just too big to adapt quickly to the change that's developing in the market - so we see this as a huge opportunity," said Sarah Albert. "We thrive on change because it supports what we already know; it's time that the interests of buyers and sellers are put first, not the interests of banks." PropertyGuys.com has already helped change the way certain industry participants such as appraisers, real estate lawyers and real estate brokers are now interfacing and servicing customers through its program. The net result of this type of overhaul has been the creation of a real estate platform that costs ten times less than what Canadians would typically pay an agent for a similar service. PropertyGuys.com Mortgage is engaging existing mortgage agents across the country that recognize the potential to leverage the PropertyGuys.com Inc. network of over 100 franchisees from coast-to-coast who interact with tens of thousands of buyers and sellers every year. "Mortgage brokers are leveling the playing field, and it wouldn't be a stretch to say that they'll soon have 50% market share in comparison to banks," Melanson continued. "Traditional systems need to be challenged in order to work for today's consumers who are, now more than ever, demanding flexibility and choice - be it in how they watch television, book vacations, or even set up their mortgage."